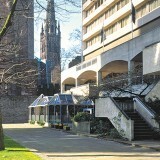 At the Britannia Coventry Hill Hotel we have a range of conference facilities for both business and pleasure. 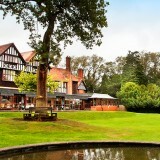 Our hotel in Coventry offers a fantastic location for any events and is surrounded by beautiful scenery. We can hold a range of events including corporate events, meetings, conferences and interviews. As part of hosting an event with us, we offer a variety of technical options, including overhead projectors, LED lighting, flipcharts and catering. Our experienced staff are on hand to assist our guests every step of the way, including pre-planning and implementing preparations for the event.